Well, this day started much like all the others for the previous three weeks, regular routine: get up, sort the house out and then go and visit my wife, Lorna, in hospital. She was expecting our first child in about seven weeks, but due to blood pressure problems had to go in early. 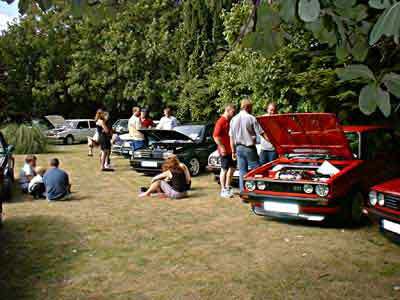 However that wasn’t the only complication at that time, as today was the annual barbecue and Show ‘n’ Shine as well. Plans had been in place for this since about April time, and as far as I could work out everything was planned for, except of course the weather! As it turned out, the day was lovely and sunny with only the occasional cloud in the sky. Turning up at the pub at noon, there were already two cars in evidence. Good start, I thought, people coming early! As it happened they were both new visitors as well, one from Club Audi (what happened to the other local members) as a result of advertising with them, and the other a Club GTI member. 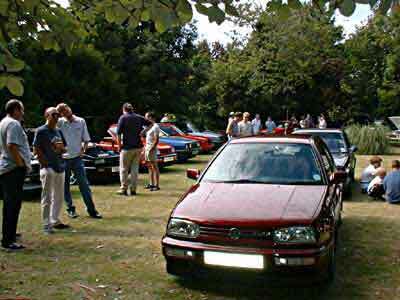 Unfortunately no one from the Corrado Club turned up, even though they were invited as well. Luckily there was enough time to sort the various signs and notices before anyone else arrived. A table was set up to show the raffle prizes, some of which were donated by local businesses, and also to show off the Show ‘n’ Shine prizes which had been kindly donated by Wax Wizard, and totalled over £100. There was then just enough time to get the 2 show cars, my Mk2 8v and Ray Partners’ Mk2 16v, in position before the troops arrived. Arrive they did from about 12:45pm, literally non stop for about 45 minutes. It was nice to see so many new faces to the meet, as well as some of regulars and not so regulars! People had come from far and wide, including Poole, Basingstoke, Uckfield and not forgetting the Bracknell contingent! Alan came along with his new family, with Georgia getting to know what a Golf looks like at an early age (previously she thought they were all Pasadena Blue!). 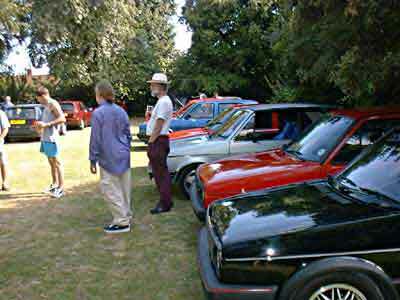 The cars had been arranged so that all of the Show n Shine cars were parked along the left side of the paddock behind the pub, with the other cars being parked on the right. However, such were the numbers of cars that arrived, this had to be abandoned in the end as all the available gaps were filled. 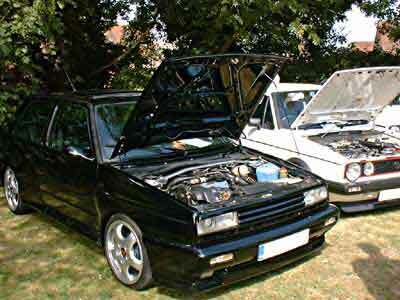 We eventually had a total of nine cars for the Show ‘n’ Shine of all types. 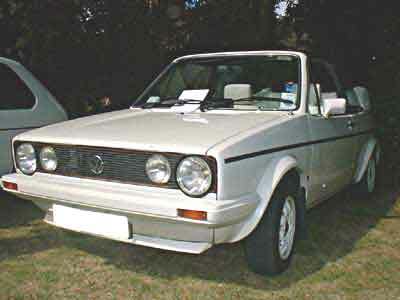 The cars ranged from standard-ish Mk 1/2/3’s, to Rallye’s, Jetta’s and convertibles. 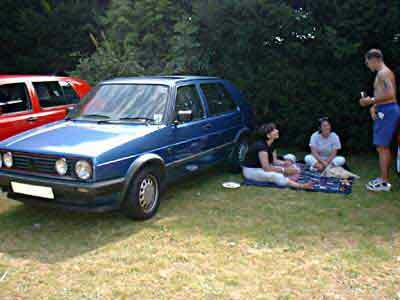 Some cars of note were Jamie from Brightons’ Jetta GTI with lots of ICE, big bumpers, half leather Recaro interior and a 2L bottom end, Gary Lawrence’s lovely Mk3 VR6 5 door, Kevin.Coopers Oak Green Mk2 8v and Roger Wilton’s Mk1 GTI Convertible. 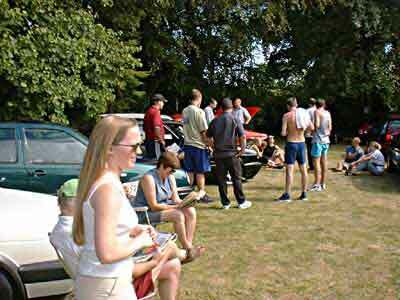 While some people fettled their cars some more, others went and sought refreshment at the bar. Soon that tell-tale smell of a barbecue being lit was billowing all around, giving us reminders that we were getting hungry. David, the landlord at the Hunter’s Inn, was soon busy cooking (with the aid of Leslie his wife) hot dogs and burgers over the barbecue which he had only just finished building the previous evening, evidence of which was the still green cement, now rapidly drying out! After a suitable period of time we drew the raffle, with prizes including oil, filters, sweatshirts, stickers and a New Beetle model, as well as a subscription to Volkswagen Driver magazine kindly donated by Autometrix Publications, and many more besides. With all the prizes on offer, the chance of winning something was high! Then came the Show ‘n’ Shine prize presentation, As I have already mentioned the prizes were kindly donated by Wax Wizard, a new name in car wax but a name that we are going to hear more from. They specialise in high quality easy to use products that can be obtained at sensible prices compared to similar products from another well known American brand. They generously let us have one of the Merlin Wax starter kits for first prize, with a Magical Wax started kit being available for the runner up. 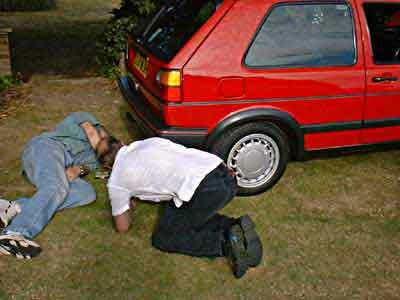 Alan and myself had previously looked over all the cars that had been entered. 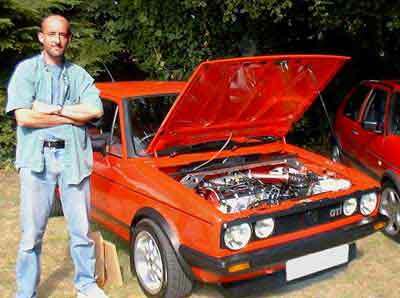 It was not an easy job to do, but eventually it came down to the Mk1 of Nigel Rowlands from Havant, which was awarded first prize. 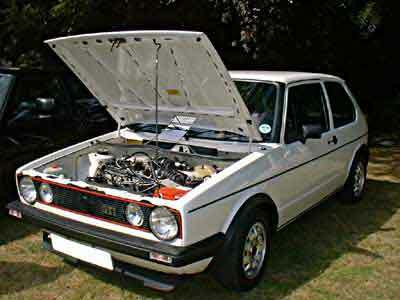 His car is a Mk1 ‘sleeper’ with a 2L power unit containing Cosworth pistons, a 282 camshaft with a long stroke crank, with brake and suspension modifications to match. 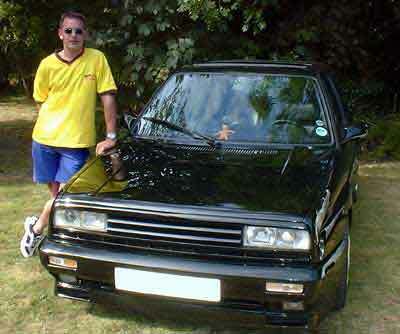 The runner up prize went to Jason Terry from Waterlooville, whose much modified Rallye boasts Porsche wheels, M3 mirrors, a stage 4 G-charger and a gas-flowed head amongst other things. So ended a great day. The weather held for us, the turn out was good with people making the most of the atmosphere and weather to have a good time, meeting new people and talking cars! I would like to thank David, the landlord at the Hunters Inn at Lavant, for putting on the barbecue for us, on a day that was quite busy in the normal restaurant as well; Mark Underwood at Wax Wizard for providing us with the show prizes; James Gardner at Whyke Volkswagen in Chichester and Chris White at Specialist Auto Parts in Yapton, for both providing raffle prizes for us. Heres to another event next year, and introducing another family member to the Golf fraternity!